2017 Fishing Trip - The fish appear unfazed by all the road damage and huge inflows. 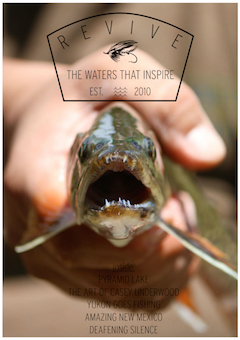 From Sessions Wheeler's The Desert Lake: "Fish growth in the lake is remarkably rapid. The late Dr. Ira LaRivers, of the University of Nevada, summmed up his studies of the lake's food conditions by saying, 'Pyramid is literally a culture medium for all organisms in the food chain - temperatures are warm, nutrients are plentiful, and fish growth rapid - and so is capable of producing the maximum yields of game fish that could possibly be expected anywhere.'" 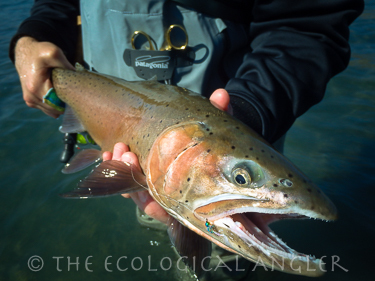 Lahontan cutthroat typically cruise near shore during the open fishing season allowing fishing from shore to be successful. Popular beaches on the west side of the lake as one travels north on Highway 445 include Popcorn, Sandhole, Rawhide Lookout, Blockhouse, Wino, Indianhead, South Nets, North Nets, Separator, Pelican, Windless, Spider Pt., Shotdog, Warrior, Nine-mile, the Willows and Monument Rock. On the south end of the lake, the popular fishing beaches include Howard Bay, east of Marble Bluff and Dago Bay. The common feature of most of these locations is a smooth sandy bottom. 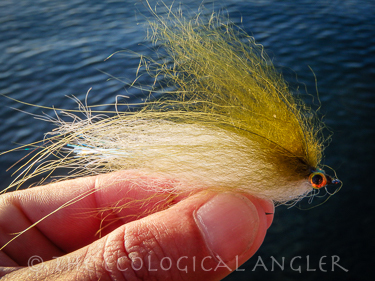 When fishing bait patterns such as the Tui Chub (photographed above) or Midnight Cowboy, it is important to fish as close to the bottom as possible. Cruising trout are in this zone as they travel and search for food. Many of these sites have a drop-off a short distance from the shore which provide travel lanes for moving trout. At shallow beaches, such as Howard Bay, Dago Bay or the South Nets the drop-offs can be more than 200 feet off shore. This is where ladders are a must have to extend casts out to the target area. 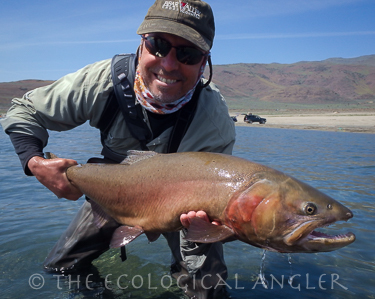 Besides the outstanding high desert scenery, Pyramid offers the angler the chance to catch a trophy size Lahontan cutthroat.